With less than a week to go until the FIFA World Cup final, I better get a move on with my #beersoftheworldcup challenge. 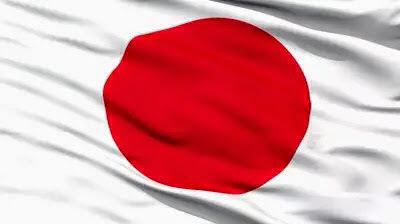 Sourcing beer from some countries has been difficult but getting beer from Japan was relatively easy. There are a few well known Japanese beers that are available in most supermarkets but rather than go for the easy option, I opted for a bottle of the lesser known Hitachino Nest Beer Pale Ale from Kiuchi Brewery in Naka, Japan. The Kiuchi Brewery has been in existence for over 180 years primarily brewing sake. 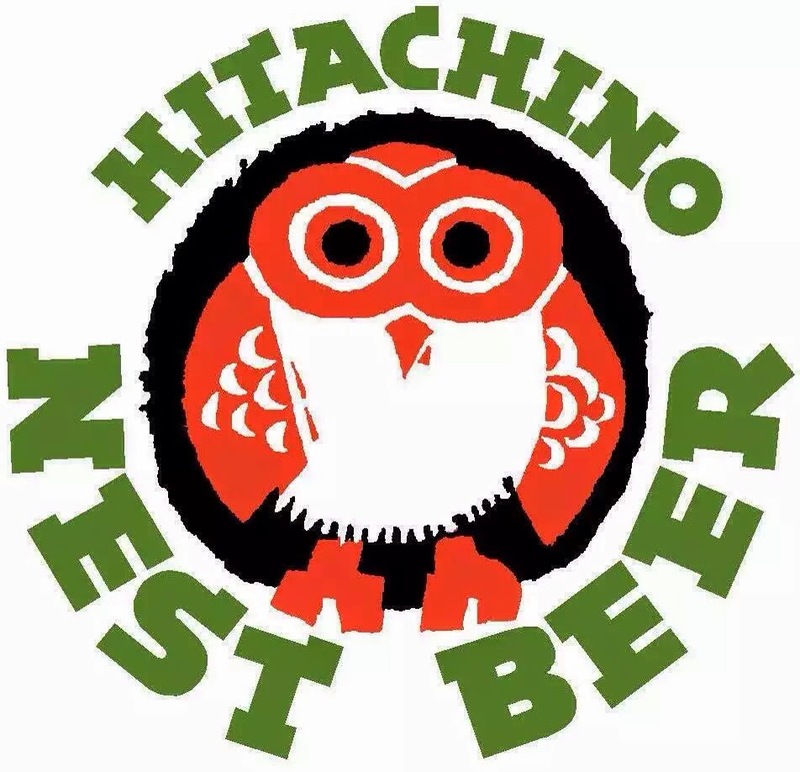 It is only in more recent years that Kiuchi has been involved in the production of beer when Hitachino Nest Beer was launched in 1996. Brewed with a little of the traditional sake brewing process, the Hitachino Nest Beer range has been winning awards across the globe for almost 20 years. 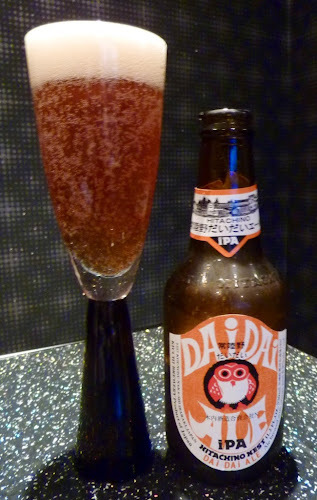 I was attracted to the Hitachino Nest beer Pale Ale by it's distinctive 'Owl' logo, that coupled with the fact that I'm really enjoying IPA's just now so was interested to try this offering from the 'land of the rising sun'. The Hitachino Nest Beer Pale Ale pours with a rich mahogany colour and a thick foamy head, although the head does disappear fairly quickly. There are clear aromas of malt and caramel,although the nose is dominated by a huge citrus orange scents. 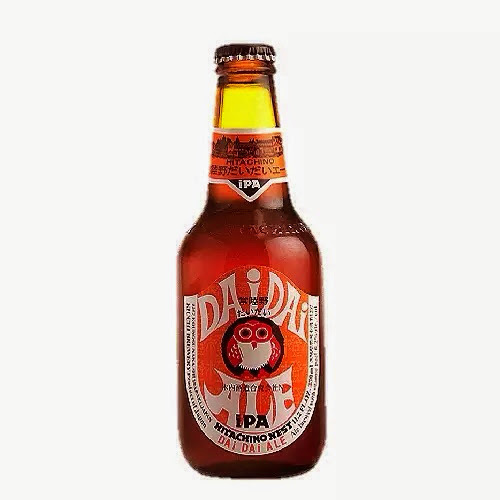 The orange flavour carries into the taste but flavours of toasted malts bring sweetness to the palate but there is also a nice bitter hoppy finish that rounds things off. I'm glad that i opted against the usual Japanese lager style beers and chose the Hitchino Nest Beer as I really enjoyed the Pale Ale and would definitely try it again, as well as looking to source out some of the other beers from the range.